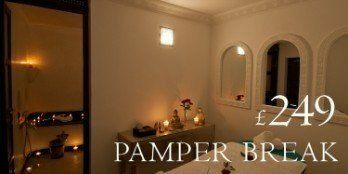 Taj’in Darna is a cafe/ restaurant located on the Eastern side of Marrakech’s central square. 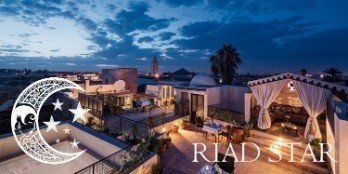 Serving a variety of traditional Moroccan dishes and refreshments it’s cosy rooftop terrace is the ideal space in which to stop and refresh your batteries after a day spent exploring the red city. 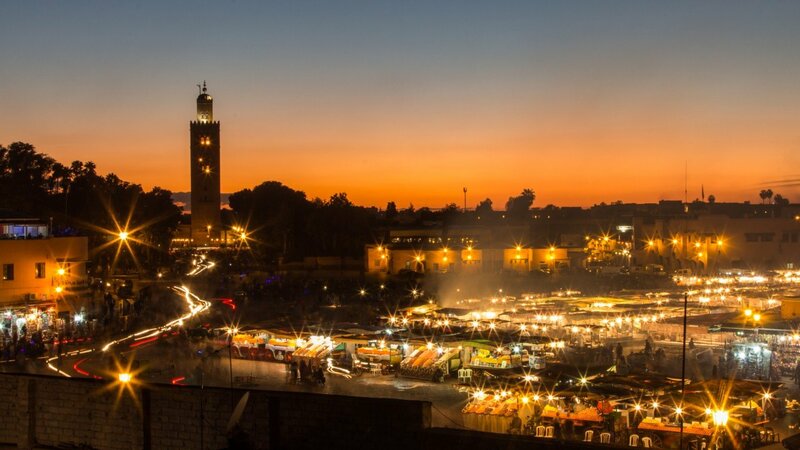 Due to the stunning panoramic views of Jemaa al-Fnaa from Taj’in Darna’s terrace you can expect to pay just a few more Dirham’s for a meal here compared with nearby snack bars such Snack Toubkal. 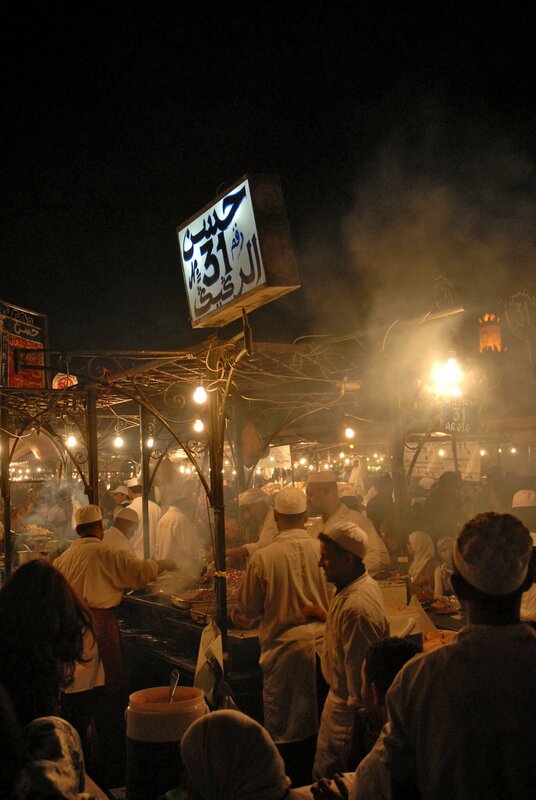 A Moroccan chicken tajine is around 45 Dirham’s (£3.44) and a glass of sweet mint tea is 15 Dirham’s (£1.15). 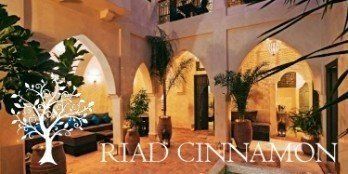 As Taj’in Darna is located in the cities central square it is only a short walking distance from any of our hotel Riad’s. 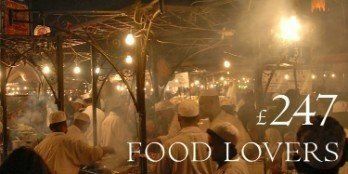 I often went there during the holy month of Ramadan to enjoy a salad with the seclusion that the Cafe’s terrace offers. If you are feeling adventurous, I would recommend that you try the range of Moroccan Pastilla’s that are on offer at the restaurant. Combing both salty and sweat this hand-cooked meat pie is baked and sprinkled with both sugar and cinnamon for a unique, delicious taste. The ideal time to visit Taj’in Darna is as the sun starts to set across the red city. 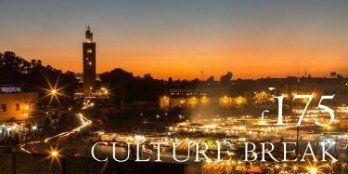 As you enjoy the rich and flavoursome dishes that Morocco has to offer you can look across the square of Jemaa al-Fnaa and watch it burst into life as musicians, storytellers and performers pour out onto the streets to prepare for the night ahead.